Rayong is the province adjacent to Chonburi to the north and Chantaburi to the south. The city of Rayong is an industrial center and also the jumping off point for Koh Samet (via Ban Phe). Rayong and Chonburi share the main Industrial parks on the Eastern Seaboard where huge factories produce Automobiles (Toyota, Nissan, Ford, and GM). The major car manufacturers are conveniently surrounded by related plants producing automotive parts Etc. This provides a lucrative supply of work for the Thai community, who move to the area to pursue their livelihoods. For this reason the majority of the population hail from other parts of the Kingdom. When traveling through Rayong you will also see the huge refineries which produce all manner of fuels and chemicals for domestic and industrial use. Rayong province also has much of interest for the tourist. Ban Phe is bustling small town with a thriving market. 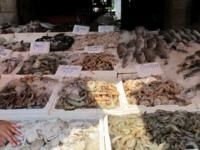 The market is a must see before a trip to Koh Samedt or other spots, if only to see the huge variety of sea-food available. 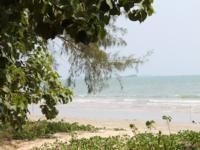 Further down the coast there is the beautiful forest reserve at Suan Son, with it's quiet beaches and dramatic trees. 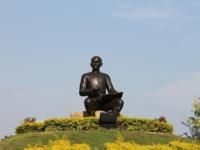 For the those who are interested in Thai culture, we recommend a visit to the Sunthorn Phu statue in nearby Klaeng town.